Order in the next 1 hour, 19 minutes an 47 seconds for same day shipping. 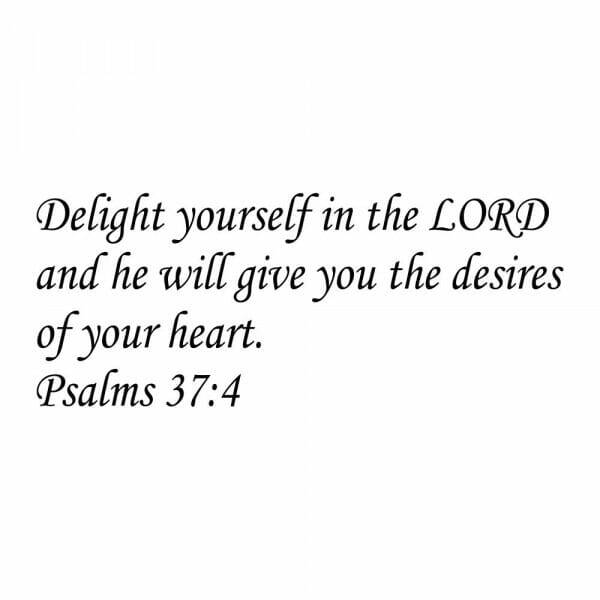 Delight yourself in the LORD and he will give you the desires of your heart.' - Psalms 37: 4. This stamp is ideal to be used on greeting cards for various occasions and for photo albums. The stamp model is Trodat's Printy 4927 which is a self-inking stamp. This means that the ink-pad is built into the stamp so no separate ink-pad is required. The stamp will last a lifetime as replacement ink-pads are available (order no 6/4927). You can choose between 5 different ink-pad colours: black, blue, green, red and violet. The printed impression size is 58 x 37 mm. The stamp produces thousands of clear images. Customer evaluation for "Craft Stamp - Psalms 37:4"